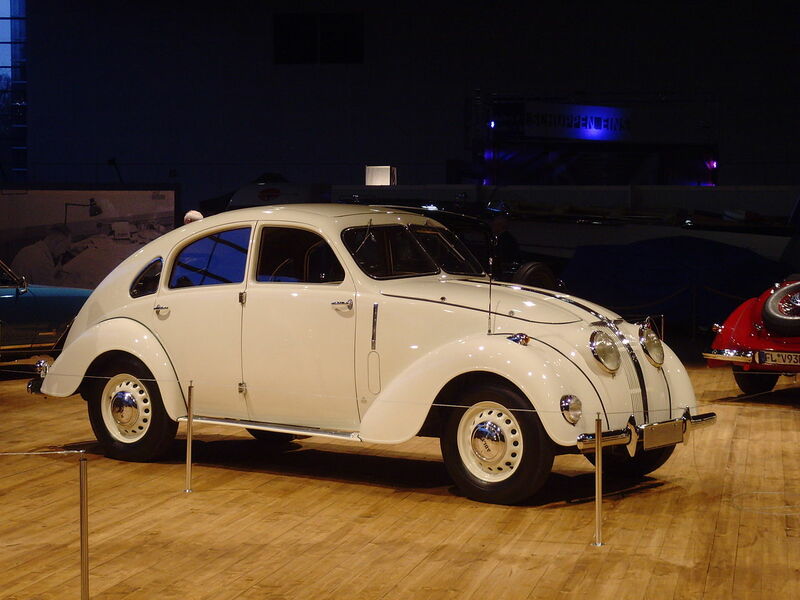 Dr. Ferdinand Porsche’s design for the Volkswagen, Hitler’s “People’s Car” was imaginative, in fact it was brilliant. He incorporated what he knew about creating a performance car into designing a car that was intended to be agriculturally ruggedly reliable, easy to maintain, easy to repair, and easy to drive. 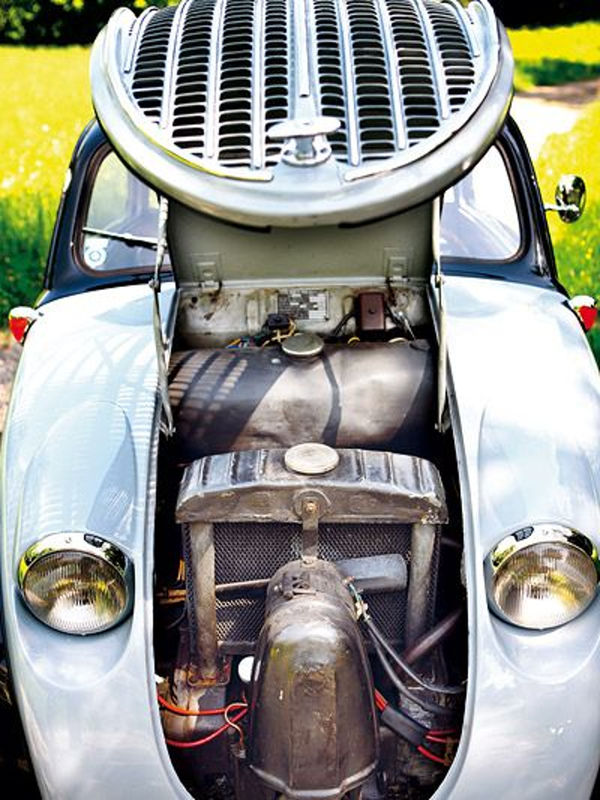 If we look at the Volkswagen in cross section we can see this brilliance of his design in action. In the cross section diagram above we can see that Dr. Porsche kept all heavy components as low as feasible. The rear mounted horizontally opposed four cylinder engine, gearbox and differential being at the height of the axles. 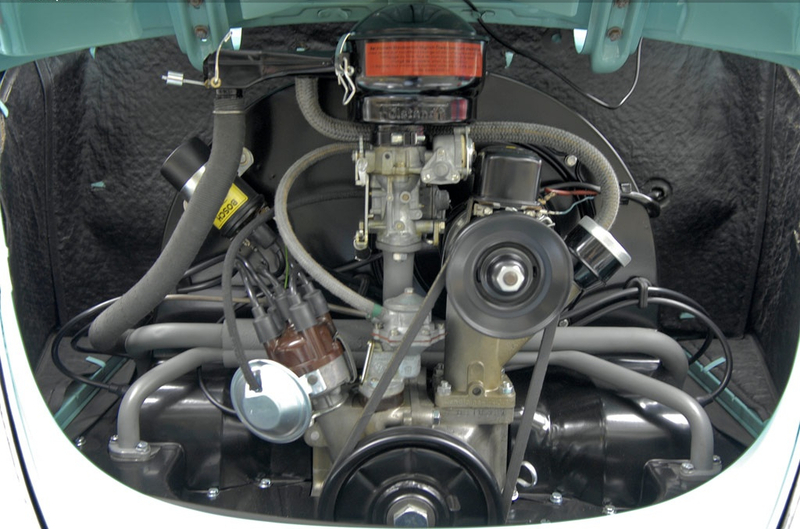 Only the carburettor, generator and ancillary engine components are allowed to be up higher, and that positioning also had purpose, to ensure ease of maintenance. 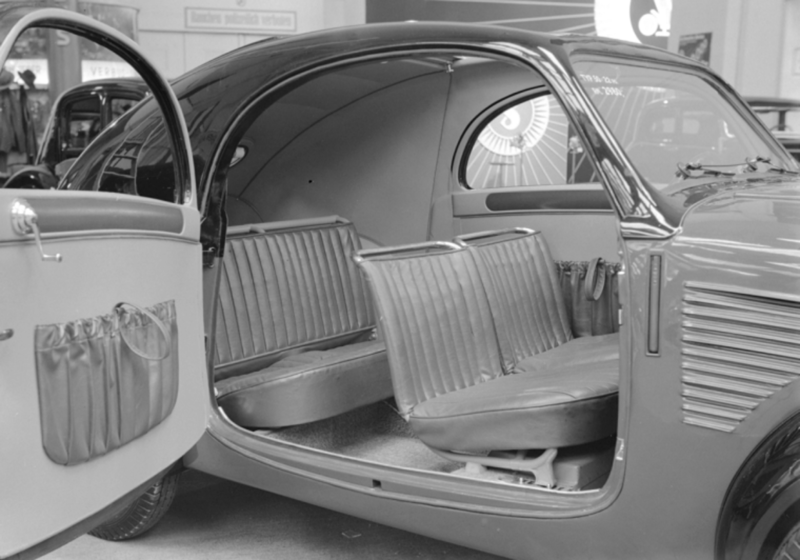 Similarly the use of a platform frame construction ensured that there was not a chassis forcing seating and bodywork to be positioned higher, but, the platform frame enables lowering of the passenger seating keeping the car’s centre of gravity as low as possible. Also visible is the clever method of storing luggage both in the car behind the back seat and in the luggage area in front of the passenger compartment. The positioning of the spare tyre at the front of the car providing a measure of collision protection for the fuel tank, and also ensuring that the spare tyre is accessible even when the car is fully loaded with people and luggage. One last advantage of the rear mounted engine is that the exhaust system does not have to route under the car but is kept as far to the rear as possible. This means that passengers and driver are kept better protected from the effects of an exhaust system leak. The Volkswagen was intended to be able to transport four adults, or two adults and three children, with their luggage, at speeds around 100km/hr, and it could do this. One aspect of getting it to do this was the use of a wind tunnel in developing the final body shape. When we consider this car in comparison with its contemporaries it uses technologies that already existed, but combines them in a way that creates a quite extraordinary result. Were there other contenders for the role of “People’s Car”? Yes there were. Each of them bears some external similarity to Dr. Porsche’s Volkswagen but none of them quite achieve the same brilliance. If one wanted to get into creating an interesting car collection on a modest budget then a collection of the “People’s Cars” of the pre-war era could be a worthwhile theme to build on. Created by Steyr Daimler Puch of Austria, the same people who created the near legendary Mannlicher-Schönauer rifles, and who created the Steyr AUG rifle as used by the Australian military amongst others, this was a good design and, like all things made by Steyr, of the highest manufacturing quality. The Steyr 50 used a 984cc front mounted horizontally opposed “boxer” engine, (as did the Volkswagen but rear mounted), but the Steyr 50’s engine was water cooled. Interestingly the Steyr 50 had a little more interior space than the Volkswagen and came with hydraulic brakes whereas the Volkswagen initially had cable brakes changing to hydraulics in the post war period. The “suicide” doors offered easy access but came with the usual problem such doors create, if a door opens at speed then things can turn ugly rather quickly. 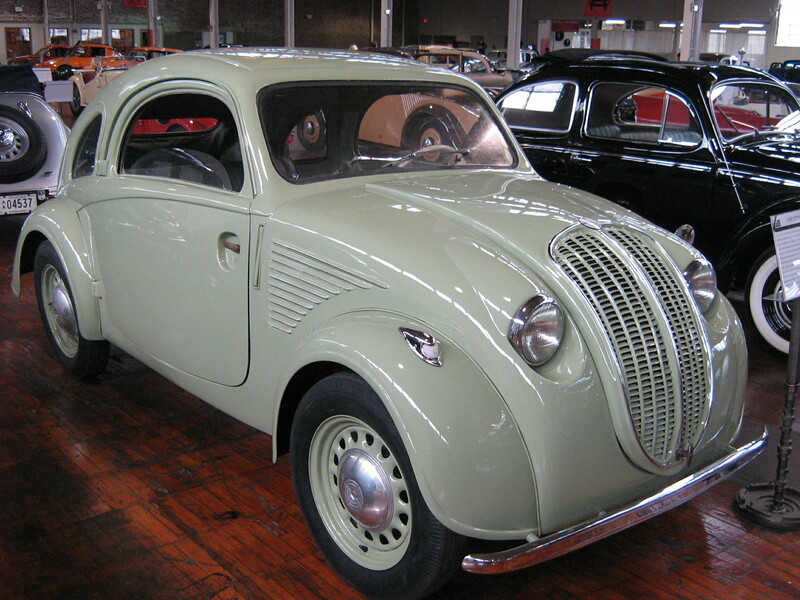 The Steyr 50 featured a sliding metal roof so it came with a “sun roof”. Top speed of the Steyr 50 was 90km/hr. The Adler 2.5 litre does not really qualify as a “People’s Car” contender as it was more expensive and was thus more of a luxury autobahn cruiser. We’ve included it here because it was designed by the same gentleman who designed the Steyr 50, Karl Jenschke and it has the style of the “People’s Car” although it was clearly a “People’s Car” for rich people. The Adler 2.5 litre was also known as the Adler 10 and the Adler Autobahn. 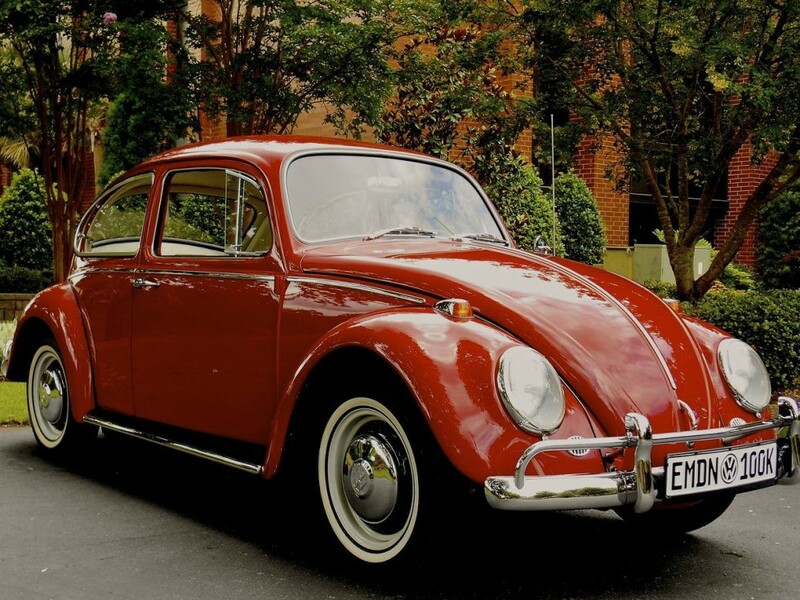 It was a conventional car with a water cooled in-line, side valve, 2.5 litre six cylinder engine driving the rear wheels via a four speed gearbox with synchromesh on the top three gears. The engine, gearbox and radiator were all set well forward in the car which may not have contributed positively to its handling and seems to have created a design preference to mount the gear lever in the centre of the dashboard. How convenient this was to use I can’t comment on as I have not had the opportunity to drive one of these cars. 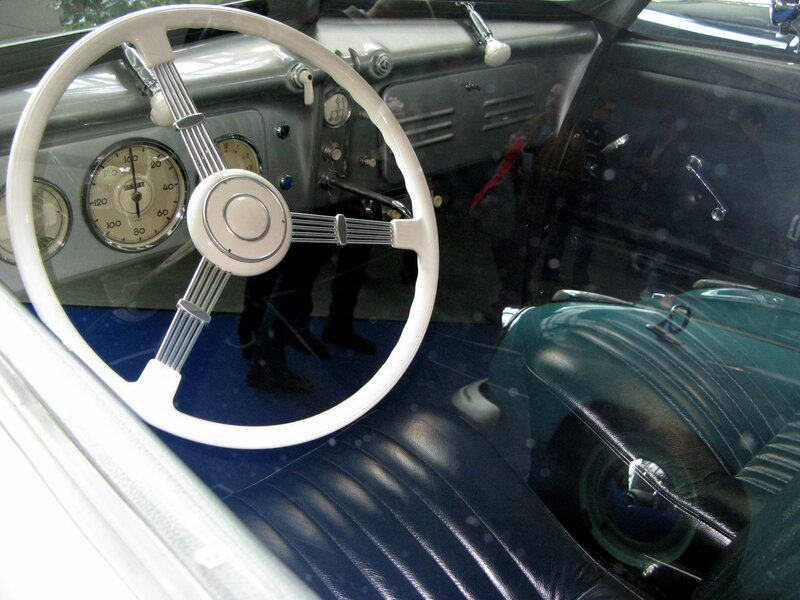 With its engine and gearbox set well forward designer Karl Jenschke decided to mount the gear lever in the centre of the dashboard as is visible in this picture. Visible above the actual gear lever is a round white medallion showing the gear change pattern. (Picture courtesy wikimedia). The Adler had a remarkably low drag coefficient of 0.36 so its aerodynamics are excellent even by today’s standards. Nonetheless underneath that sleek low drag body was a very conventional car sitting on a box frame chassis. Front suspension was wishbones with quarter elliptical springs. Rear suspension was swing axles with tie rods and transverse leaf springs, the differential being attached to the frame of the car. So the effect of this was somewhat similar to that of the swing axles on the Volkswagen, you have an independent suspension, but braking in a corner will tend to result in the car becoming unbalanced. All that being said this was a very nice car, well made and well appointed. Its a car that I would like to have the opportunity to do some country miles in to really evaluate it as I think the design was an excellent bringing together of conventional technology in an aerodynamic body. So it would be interesting to find out how quiet and how stable it is above 100km/hr and how it handles winding mountain roads. I think its a car that would produce some nice surprises. Sadly for Adler it did not sell as well as perhaps it might but in any event the advent of the war ensured that production ended in 1940, 21,249 cars having been made. In Part 3 of this series on The Volkswagen we will look at the car that arguably inspired the “People’s Car”, The Tatra V570. The car that Tatra believed infringed its patents and so launched legal proceedings against Volkswagen before the war, and after the war received a substantial settlement And we will also look at the Tatra V570’s large luxury sibling, the Tatra 77.